Quality and dependability may be two qualities that are critical when you are in the market for a new sports utility vehicle. When you compare the options available, you understandably may be drawn to the new Honda Pilot for 2018. This vehicle has an improved exterior design that eliminates the boxy appearance that Pilots in previous years have had. 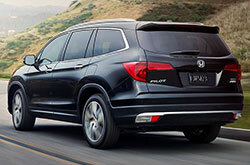 The new Pilot has a sleek design, and it is available in eight attractive exterior colors. The Pilot has a spacious interior with a third row for extra passenger seating. 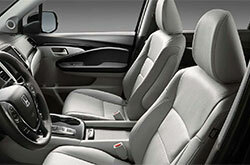 Throughout the interior and exterior, the Pilot is well-designed for comfort as well as functionality. As is the case with many other SUVs, the Honda Pilot for 2018 is available in your choice of several trim levels. The most sophisticated trim level available is the EX-L, and it has leather as a standard interior material and a rear entertainment system. The leather is available in your choice of three attractive colors. 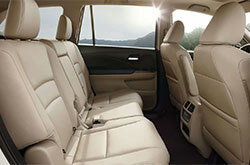 There is also a mid-level EX-L option available, and it comes with standard leather seating. However, it lacks the rear entertainment feature. The lower-level LX Pilot has cloth material as a standard feature, and it does not have a rear entertainment system. While there are variations in these areas, you will be pleased to find that all of the trim levels are well-equipped with the convenience and comfort features that may be important to you. For example, inside all of the Pilot trim levels, you will enjoy access to heated side mirrors, cruise control and audio features on the tilting steering wheel, keyless ignition, power door locks and windows and a backup camera. You can learn more about these and other optional features available for each trim level when you stop by your local Honda dealership for a test drive. Whether you plan to tow a boat behind your Pilot or you simply want to drive a vehicle that performs well on the road, power and overall functionality are critical factors to look for when choosing a new SUV. In all three Pilot trim levels for 2018, you will benefit from a 3.5-liter, V6 engine type. The Pilot can haul up to 5,000 pounds. It boasts 262 foot-pounds of torque as well as 280 horsepower. The various Pilot trim levels also have an all-wheel drive transmission with six speeds and superior traction and stability capabilities. You can experience how well the Pilot handles when you take it for a test drive at your local Honda dealership. Safety is not a factor to overlook when you are shopping for a new sports utility vehicle. The 2018 Pilot is a vehicle that has performed well in numerous safety tests from reputable organizations. Inside each trim level available in 2018, you will benefit from headrests and airbags for all passengers, and this includes a deactivation sensor for the front passenger airbag. The Pilot also comes with child seat anchors, a tire pressure monitoring system, child safety locks on the rear doors, an engine immobilizer, front disc brakes and rear ventilated disc brakes. A few of the features available in the more advanced Pilot trim levels for 2018 include fog lights, a post collision assistance feature and blind spot detection for accident prevention. 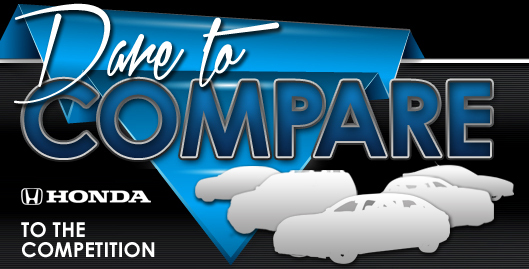 See us today at Showcase Honda to take a test drive and find the vehicle that you've been looking for.